Have you ever wondered if there is a better way to build a Bassman, Champ, Plexi, an 800, AC-30, Bulldog or Portaflex? Or have you wanted to build an SVT with off-the-shelf parts? How about a master-volume amp that doesn’t change tone with the master setting? Everything you need to know is right here in TUT3, including: proper grounding techniques, wiring methods, and mechanical considerations. Just when the boutique amp biz was "getting tired", TUT3 reinvigorated the industry with concise grounding protocols to fix all of those noisy copies of poorly built classic amps. Who would want to "build in the buzz"? Eighteen chapters cover the “iconic” amps everyone knows and loves, with schematics and layouts for each, along with the technical history of the product. Eyelet-board and chassis-mounted tube socket construction is used throughout, for easy servicing and modding. TUT3 is very accessible even if you cannot fully read a schematic, and is a "must have" if you are going to build an amp for yourself. There are certain tones anyone can recognize. The idea of "iconic" sounds and circuits is the basis for this book's investigation of how these tones are created, how we can create new ones, and how we improve upon age-old circuit methods. The issues of circuit compromise and historical relevance for each design are explored, with an eye - or ear? - to improving signal-to-noise ratios and reliability. Some can be improved through simple re-arrangements of wiring, while others require greater overhaul. Grounding and wiring are detailed, with proper methods and correct physical interconnection of components highlighted. Our Galactic Ground provides the quiestest operation and best note articulation in all amp circuits. Iconic circuits are reviewed, beginning with how the original examples were wired, how that wiring can be improved, what compromises were made and why, how to correct those compromises, and further improvements we can incorporate. We also explore the compromises we introduce if we want to build the same circuit in a number of physically different styles. You can build a Champ, Bassman or SVT any way you wish, but what are the ramifications? You will know once you read through TUT3. Both bass and guitar systems are presented, as there are iconic sounds for each instrument. If you always wanted to build your very own SVT but couldn't find the transformers or wiring diagrams, TUT3 will show you an "easy SVT" and an easier Portaflex tribute. Two different Bassman icons are illustrated along with the variations of that brand's design. Neat tricks to improve the Marshall 800 master-volume amp are shown, and also a way to build an AC-30 that does not "eat" tubes. How about a Hiwatt Bulldog project that Pete Townshend could smash an axe over? 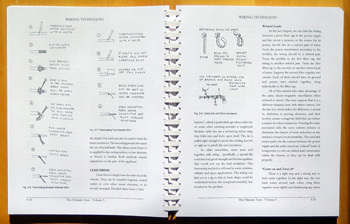 This is a construction-oriented book including both schematic and layout drawings for each icon. You wouldn't expect twenty-six variations of the simple Champ, but they are all here. Modern fashion is melded seamlessly with vintage groove so you can build the amp you really want, or modify an existing amp to your own needs. Practical guidance is given for the order of construction, incremental testing, wiring techniques, easy bias circuits and bias access considerations. 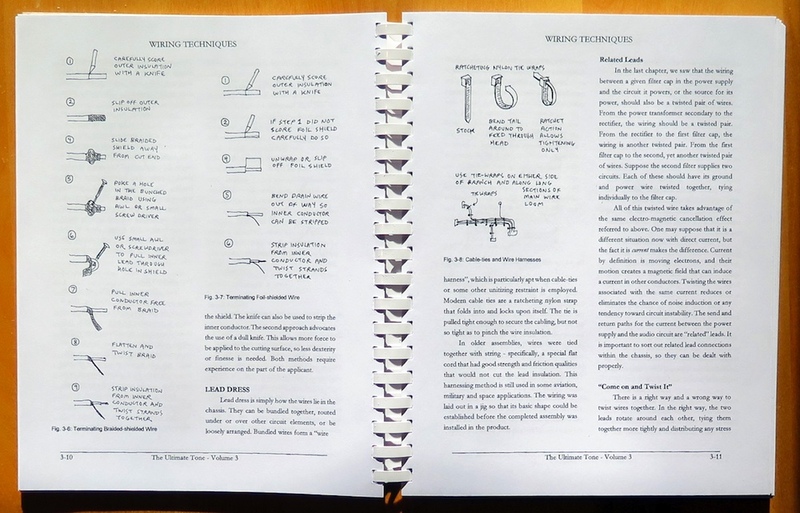 Eighteen chapters cover it all with clear wiring diagrams so you can build an amp right from the book.